For us wine is a family affair. Wine and family - these are two inseparable pillars of our work. 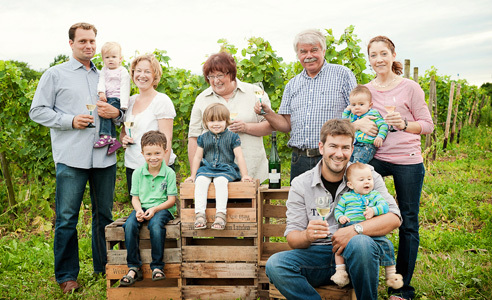 As a family winery, we give all our attention with passion the vines and the wine. 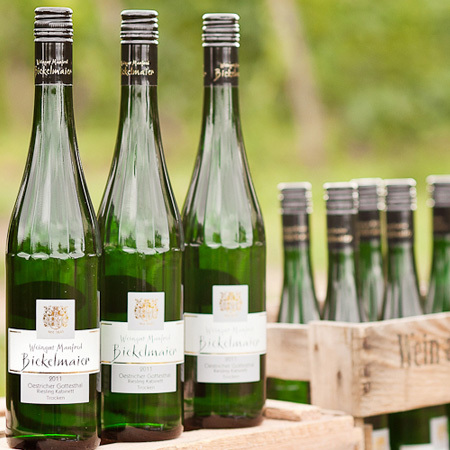 We Bickelmaiers are the oldest winery in Oestrich. Meanwhile, these are more than 370 years that are covered in documents until the year 1641. Today, we manage in the 11th & 12th generation 15 hectares of vineyards. Traditional methods, modern technology, a lot of knowledge and intensive exchange between father and son, with colleagues and friends - to develop an individual style and taste in the wines, that is the goal of our work. The foundations for top quality wines is laid out in the vineyard, because healthy grapes is the precondition for top-quality wines. So we are very careful that work consistently on the vine and on the ground, gentle and environmentally conscious proceeds. The health of the soil and the soil life is the basis for strong, healthy vines. Reduced yields, individual quality work and targeted crop management are a matter of course.